for $5,799,000 with 5 bedrooms and 4 full baths, 1 half bath. This 4,151 square foot home was built in 1952. Charming private country cottage traditional with pool. 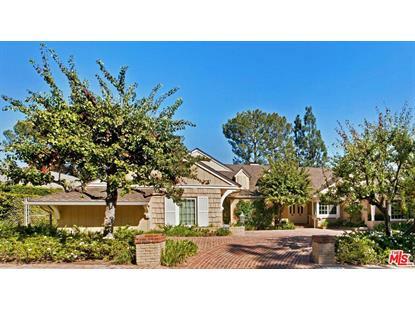 Five bedrooms Five baths on 14, 645 mostly flat lot north of Sunset. Formal entry looks direct to resort backyard with large pool and mature landscaping. Hardwood floors throughout and spacious rooms with good scale on a single level floor plan with one bedroom and bath upstairs in separate wing. Living room, Formal dining room, and separate Family room/ den. A bright sunny kitchen with breakfast area, remodeled in past. Enormous master with generous closet space and large master bath. Views from backyard and upstairs bedroom. South east views possible overlooking city.